The UK Advertising Standards Authority (ASA) has upheld a complaint against Greenpeace and others over misleading claims in an advert about the halving of the cost of electricity generated by offshore windfarms early next decade. 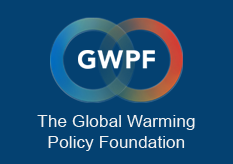 The Global Warming Policy Forum (GWPF) said that, until the windfarms were built, which it said was unlikely, there was no certainty that the cost would have halved, as the original adverts had claimed. That was why it launched its complaint. Therefore the wording of the advert is still misleading, and GWPF has submitted a further complaint about this advertisement, which ASA is now investigating, he said.